*Including concerts of Bratislava Music Festival (the “BHS”). The discount doesn´t apply to Christmas and selected special concerts. 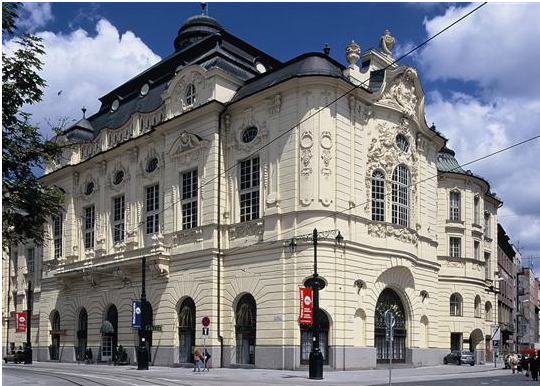 The Slovak Philharmonic Orchestra was founded in 1949. Two remarkable internationally acclaimed personalities, Václav Talich (Principal Conductor 1949-1952) and Ľudovít Rajter (1949-1976, until 1961 its Artistic Director) asisted at its birth. Other principal conductors that have played their part in the musical evolution of the orchestra include Tibor Frešo, Ladislav Slovák, Libor Pešek, Vladimir Verbickij, Bystrík Režucha and Aldo Ceccato. The Slovak Philharmonic Orchestra regularly appears at music festivals all over Europe (Prague Spring, Prague Autumn, Bratislava Music Festival, Wiener Festwochen, Brucknerfest Linz, Carinthisher Sommer, Berliner Festtage, Festival de Strasbourg, Warszawska jesień, Athens Festival, Maggio Musicale Fiorentino and Sagra Musicale Umbra). 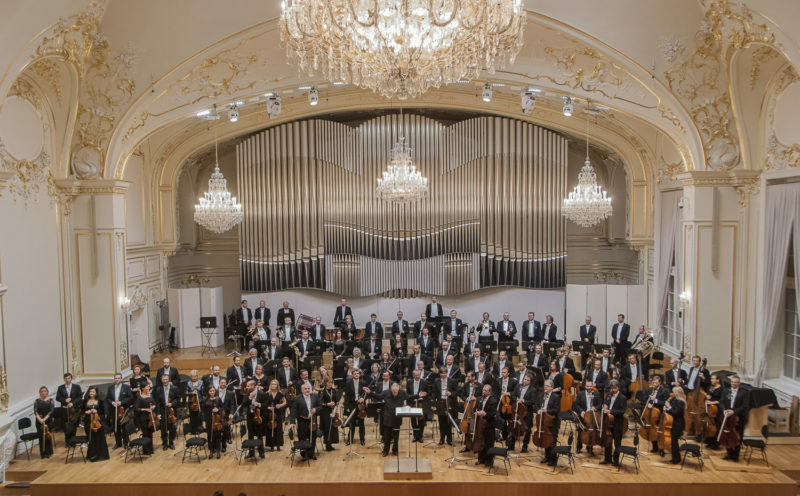 During its numerous international tours, the Slovak Philharmonic Orchestra has performed in most European countries, Cyprus, Turkey, Japan, South Korea and the United States of America. The Slovak Philharmonic Choir is a prominent representative of the Slovak art of professional choir singing. It originated in 1946 as the Mixed Choir of the Bratislava Radio. Since 2014 Jozef Chabroň has served as Choirmaster of the Slovak Philharmonic Choir. Within half a century of intense artistic activity the Slovak Philharmonic Choir has developed into a body of exceptional quality which is today one of the foremost European ensembles of its kind. The Slovak Chamber Orchestra was established in 1960 at the Slovak Philharmonic by the outstanding violinist of Silesian origin, Bohdan Warchal (1930 – 2000). 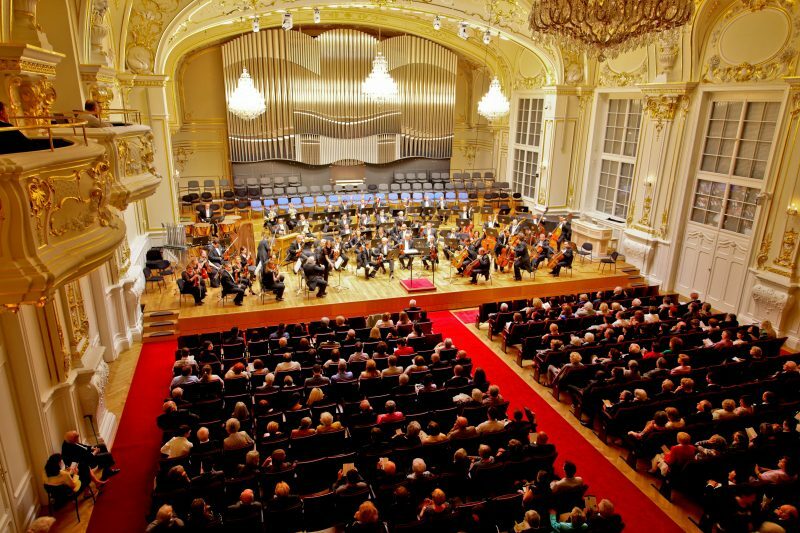 Since the beginning of its existence it has been one of the most popular ensembles of classical music in Slovakia. Under the leadership of maestro Warchal it became one of the most prominent representatives of Slovak performing art abroad.